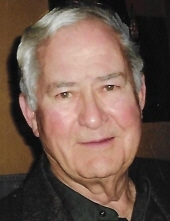 Edward Condron, DDS, 89, of Ottawa, died on Monday morning, February 11, 2019 at St. Margaret’s Hospital in Spring Valley. Mass of Christian Burial will be at 10 a.m. on Thursday, February 14, 2019 at St. Patrick’s Church in Ottawa, with the Rev. Corey Krengiel, of Ottawa Catholic Parishes and Rev. Gregory Jarzombek, OSB concelebrating. Burial will follow at St. Columba Cemetery, where American Legion Post 33 Veteran’s Group will do a flag folding. Visitation will be from 4 to 7 p.m. on Wednesday, at the Mueller Funeral Home in Ottawa, with Liturgical Prayers recited at 3:45 p.m. Ed was born on September 13, 1929 in Ottawa to Dalton and Ruth (Murray) Condron. He served in the US Air Force. He was a graduate of Loyola University, and also received his Degree in Dentistry from Loyola. Ed was a Dentist for over 40 years in Ottawa and also had a practice in Princeton for 10 years. He married Susan Markey Nanouski on November 23, 1991 in Aurora. Ed was a member of St. Patrick Church, Knights of Columbus, Illinois State Dental Society, St. Columba School Board, and the Reddick Library Board. He was an avid birder, and was very passionate about music. He is survived by his wife, Susan, 4 daughters, Kate (James) Becker, of Madison, Margaret (Gaylord Hart) Condron, of Parker, CO, Sheila (Tony Stroessenreuther) Condron, of Madison, and Bridget (Scott) McEowen, of Highlands Ranch, CO, 2 step sons, Adam Nanouski, of Montgomery, and Andrew (Shannon) Nanouski, of Ottawa, 10 grandchildren, Jay, Sam, Greta, Julia, Anne, Elizabeth, Delaney, Molly, Sophie and Elsie. He was preceded in death by his parents; a son, Kerry Condron, and a sister, Anne Fesco. Pallbearers will be Barb Lyons, Kay Myler, Jean Speed, Jan Williams, Bridget McEowen, Margaret Condron, Sheila Condron, and Kate Becker. Memorials may be directed to the Ottawa Food Pantry. To send flowers or a remembrance gift to the family of Edward Condron, DDS, please visit our Tribute Store. "Email Address" would like to share the life celebration of Edward Condron, DDS. Click on the "link" to go to share a favorite memory or leave a condolence message for the family.